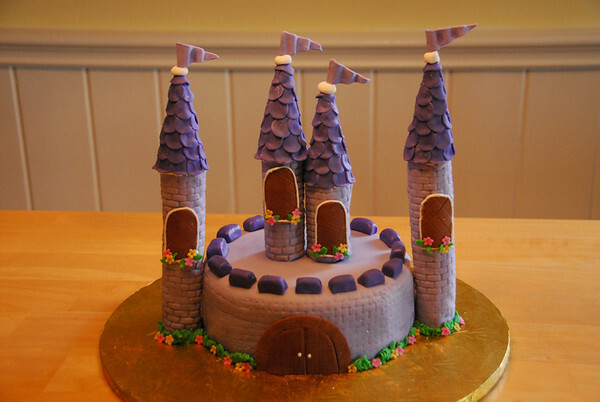 Castle Cake fit for a princess. 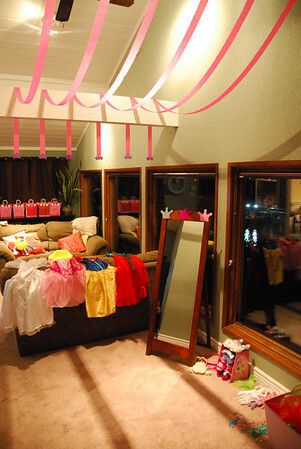 The "Princess Parlor" where the girls got to dress up in costume, get their face painted, hair done and nails painted. 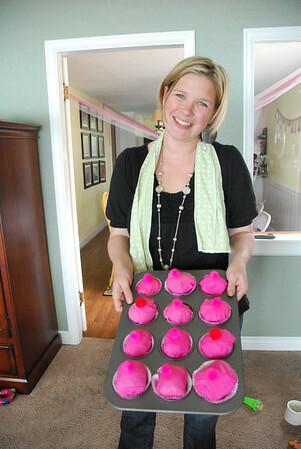 Each of these crepe paper cupcakes had a ring pop in the center that the girls got to unwrap as quickly as they could to unveil their prize. 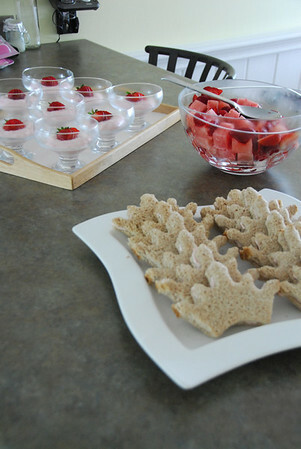 The Food consisted of crown sandwiches with strawberry cream cheese, watermelon, rasberries, strawberries, strawberry yogurt and strawberry lemonade. 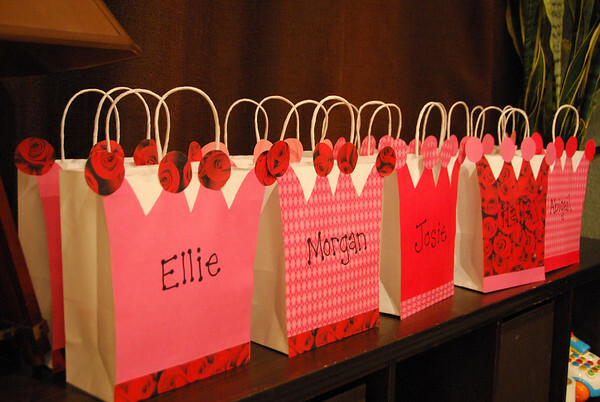 Prize bags consisted of a princess cup, paddle, stickers, pencil sharpener, bubbles, candy necklaces and would be filled later with candy from the pinata. 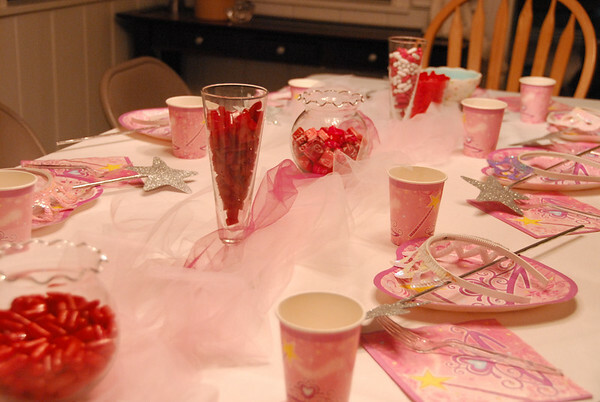 Each princess received a tiara and wand at their place. Candy decorated the table.